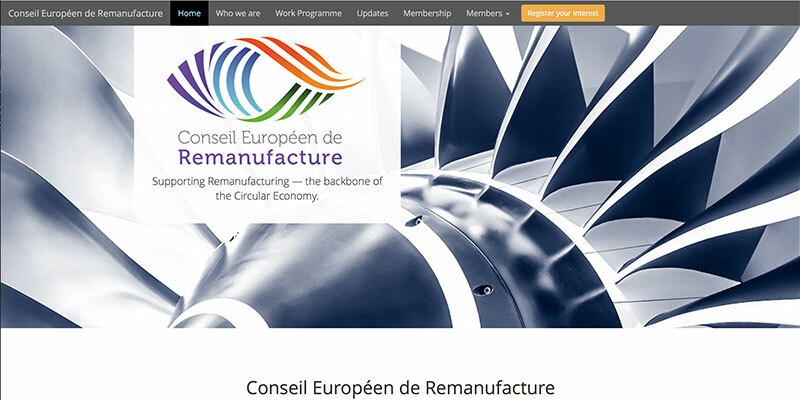 The Conseil Européen de Remanufacture (European Remanufacturing Council) is a European & UK effort to bring together all involved in the Circular Economy, including governments, academics, manufacturers and trade bodies. 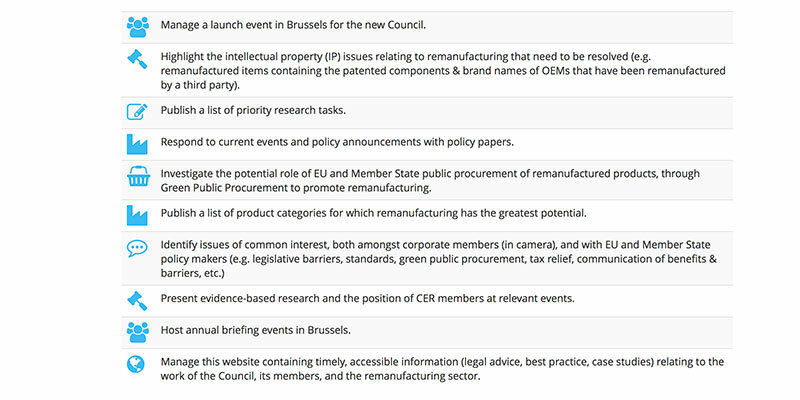 CER has bases in Brussels and London. 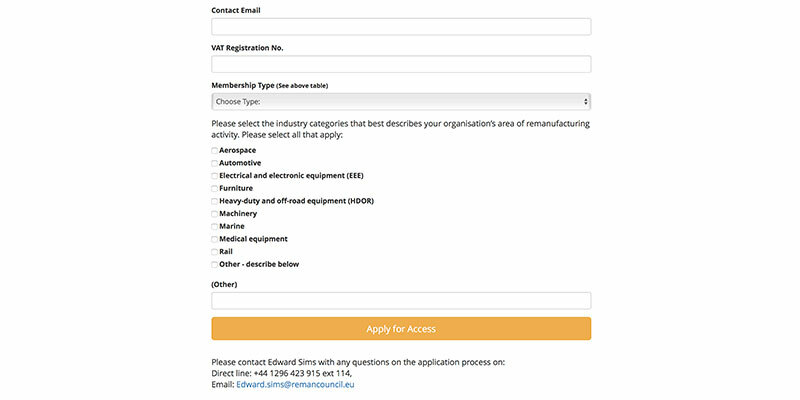 The website acts as a show case to promote the existence of the CER; to allow new members to join, and to provide restricted content for members. An extensive back-end administration system provides secure control over content and simplifies many previously time-consuming membership tasks. 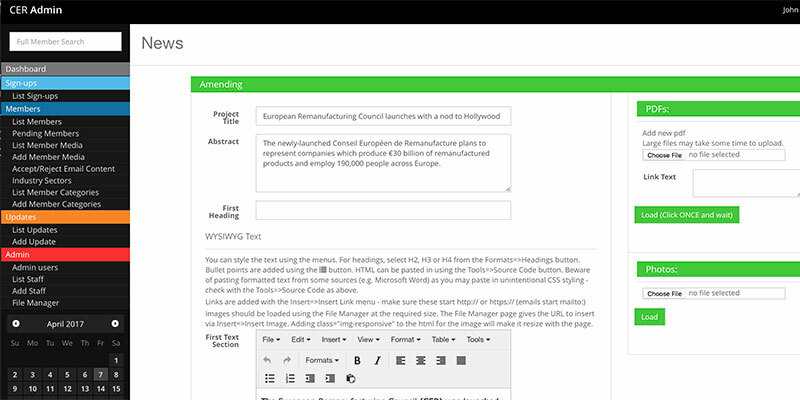 The bespoke content management system eradicates the common deficiency found in commercial one-page systems such as Wordpress. The admin system is clean and easy to use with very little training required. The modular design of both the website and the back-end admin means that we can quickly add new sections - sometimes within minutes of the client's request! The attractive responsive design has simple navigation and easy to use content. The large stylised photography used on each page reflects the content and aim of each of the pages.